The 115th episode of THE FIRE AND WATER PODCAST is now available for your listening pleasure! THE FIRE AND WATER PODCAST is the official podcast of FIRESTORM FAN and THE AQUAMAN SHRINE. This week Shag and Rob discuss Firestorm and Aquaman’s big appearances in other media: Firestorm on The Flash and Aquaman in Justice League: Throne of Atlantis! You can find the 115th episode of THE FIRE AND WATER PODCAST on iTunes. While you’re there, please drop us a review on the iTunes page. Every comment helps! Alternatively, you may download the podcast by right-clicking here, choosing “Save Target/Link As”, and selecting a location on your computer to save the file (55 MB). Posted in: Cartoons, Flash TV Series, Jason Rusch, Justice League of America, Podcast, Professor Martin Stein, Robbie Amell, Ronnie Raymond, Victor Garber. I hereby withdraw my support for F&W due to Rob’s dismissal of both Flash TV series! Well, not really. The 90s series did have its share of clunkers, especially early on. They started strong with the pilot, but the floundered a bit before embracing their comic roots. The new series does not have that problem!I’m excited to see where they are going with Firestorm (I refuse to type all of those periods. Great joke Rob!). The Franklin clan gathers at 8 on Tuesdays to watch The Flash as well. Its the only show where we do that “live”. We have been DVRing Agent Carter and catching it together on the weekend. Great show! I’m a bad FOAMer. I’m not really sure I want to buy this Throne of Atlantis film for the reasons Rob mentioned. The recent crop of the DC DVDs really leave a bad taste in my mouth. I picked up Son of Batman in a post-Thanksgiving sale for $2 and I felt I paid too much. The violence was just ridiculously over-the-top in an effort to appear “adult”. Instead it’s like some twisted teenager’s idea of something “cool”. I’d like to see more like that Target-exclusive movie they put out, the time travel one. That was clever, and suitable for all ages. The Timmverse stuff was able to appeal to adults, and not alienate or traumatize kids. Let’s have more of that. Off of my soapbox now. Now, get on that Who’s Who! It was great to hear the conversation about Throne of Atlantis. Honestly, the pros and cons of this 72-minute movie can easily generate more than 72 minutes worth of conversation. I shared some thoughts on the Shrine when Rob posted his initial review and while his feelings toward the movie changed as he rewatched it, my thoughts have sadly only solidified over time. As a generally positive person, sharing my thoughts on this movie is actually quite difficult since I wanted to love the movie, and expected to love the movie, but definitely did not love the movie. Aquaman has frequently been treated badly in animation since the days of the Super Friends and that trend continues here. I don’t mind that the story was changed some from the comic. That is expected in any filmed adaptation. However, the source material for this movie was the best Justice League story in many years, yet the film managed to turn the excellent comic into a mediocre and mundane movie. Changing the story isn’t a problem, but creating a bad adaptation from good source material is a problem. Once again, the world of animation shows they don’t think Aquaman can do anything other than talk to fish. This is established from the opening scene with Arthur talking to a lobster and continues throughout the movie. Aquaman seems incapable of defeating anyone or getting out of any scrape without calling for help from his finny friends. I thought the movie was going to surprise us near the end when Orm defeated most of the members of the Justice League. I thought we were going to see Aquaman take Orm down and show he could defeat an enemy the other members could not. However, in the end Orm completely overpowered Aquaman until Cyborg distracted Orm with his video confession allowing Aquaman to get in a “sucker punch” at the end. Hardly heroic. Beyond his heroic strengths … or lack thereof, Arthur the man was treated just as badly as Aquaman. He spent the entire first third of the movie either drunk or hungover. That was a terrible introduction to the character, especially given the excellent introduction of Aquaman in the New 52 comics that the animation team had to work with. Like the two of you, I didn’t watch Justice League: War. I was upset over Aquaman being left out as a founding member of the Justice League once again only to be replaced by Shazam this time the way he was replaced by Hawkgirl in the animated television series. So, this was my first exposure to the rest of the new animated Justice League and I must say several of them were treated as badly as Aquaman. Shazam and Green Lantern were particularly irritating. Every time they were on screen I cringed at the dialogue and the action. This completely surprised me since I’m a fan of Sean Astin from The Lord of the Rings and Nathan Fillion from Firefly and Castle. Plus the continued insistence on making Batman excessively dark and brooding resulted in a one-dimensional and monotonous character. So, it wasn’t just Aquaman, this movie managed to make most of these iconic characters bland and boring. In this movie we get Ocean Master, Black Manta, and the Trench. It seemed as though the producers threw in villain after villain to avoid spending any more time with Aquaman than was necessary. Used in this way, the Trench were neither mysterious nor scary. They were merely another army for Orm thus wasting the potential for a great introduction movie with them in the future. And, why does everyone in the movie know more about Atlantis than Arthur? Apparently his loving father never talked to him when he was growing up. So, did the movie get anything right? I will say that I thought Mera was treated quite well in the movie. She was more powerful and more levelheaded than Aquaman or most any other member of the Justice League for that matter. When the invitation to join was extended to Aquaman at the end of the movie, I couldn’t understand why the League didn’t invite Mera to join instead of him. Judging from this movie alone, she is stronger and smarter than most of them. Like Rob, I did like the closing credit sequence. It provided a sense of promise that the movie never fulfilled, but actually left me feeling more positive toward the movie than when the story initially wrapped up. I liked the brief introduction of Dr. Shin and Dr. Evans and hoped that was setting up a storyline for a future movie, but that opportunity was wasted as Dr. Shin was quickly dispatched. I agree with Rob that we shouldn’t lay blame at any single individual for this movie and I remember the very positive posts when he met the screen writer in California. In the end, this is a very bland movie that is likely bland because of too many committees and too many meetings watering down the plot and distilling the characters down to a few core traits. I agree completely that as Aquman fans, we need to support this movie in any way possible just to keep Aquaman in the movies going forward. It isn’t a terrible movie. It isn’t even a bad movie. The most appropriate word I can think of is “underwhelming” since the movie manages to make these interesting characters … bland … and this exciting story … boring. I find it personally difficult to recommend the movie, however, I am retweeting any positive reviews I find online in the hopes of getting those points of view out there. In addition, I purchased five copies of the movie. One for us and four others to give as gifts to nieces and nephews. I’m hoping that more casual fans will find it easier to enjoy the film than I did. On the positive side, it was nice to see Aquaman featured prominently in one of these movies and he was “mostly” taken seriously. That’s better than what we’ve gotten in a long time and I will continue to support it in any way that I can. I will buy any future animated movie that WB puts out that includes Aquaman whether in a solo movie or as part of the Justice League. I just hope that the next movie is better than this one. So…interesting story. I began listening to the podcast because of my life long love of Aquaman. 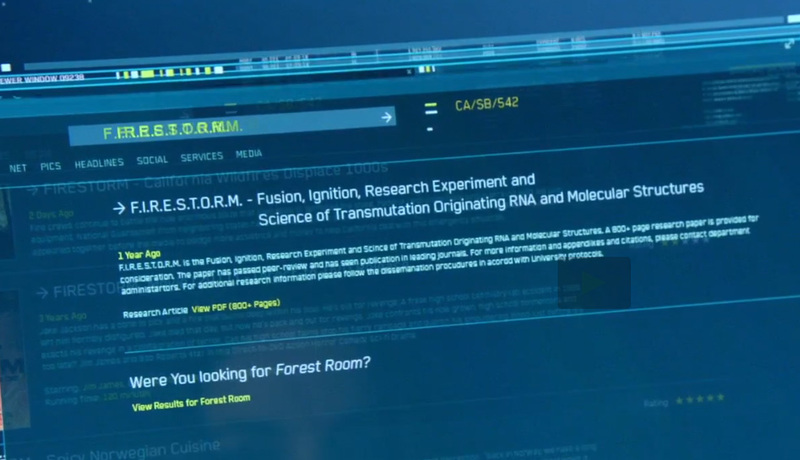 Initially I had nothing but apathy for Firestorm…now? I’m super psyched about F.I.R.E.S.T.O.R.M. 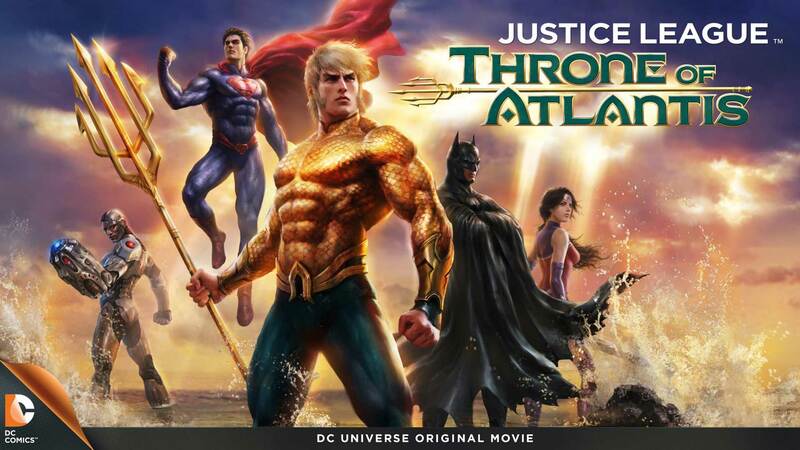 coming to the Flash tv series…and after watching “Throne of Atlantis” I just felt…meh. Maybe it’s because I read the comic, but the story didn’t grab me as I’d hoped it would. It had it’s moments, but overall I flt like something was missing. I’ve only watched it once, and plan to give it another viewing before I make up my mind…but my initial reaction…meh. Question…anyone else buy the bluray? The bonus material included threw me off a bit. “From the Vault” included 2 Aquaman themed episodes of “Batman: Brave and the Bold”, a Filmation Aquaman episode with Black Manta, and a “Justice League Unlimited” episode with Supergirl, Green Lantern, Green Arrow and…the Legion of Superheroes? It was cool for me as a member of the Legion of Super-Bloggers…but I was expecting an Aquaman episode! Great show. I don’t plan to buy the new cartoon, £13/$21 is too much for something that’s just over an hour, and I’m pretty sure I’d be annoyed by the violence – that’s why I packed in Geoff Johns’ run. Shag, you do Professor Stein a disservice. The reason he was upset at Ronnie always instigating the change in the early days of the comic was that he had no choice, and no conscious knowledge of what was happening. It was freaking him out and playing havoc with his life. Like any Martin, the prof was, in fact, a model of patience. I am with you, though, on the FF movie trailer – it’s intriguing. Mind, I don’t see what was quite so awful about the first two (released FF movies) bar the presentation of Galactus. (I have similar thoughts on the GL film, I enjoyed it, apart from Parallax). I have been completely impressed with the Flash TV show and watch it with my girls. Firestorm is just the tip of the iceberg of all the DC Comics characters that they have put into it. My kids finally had to tell me to stop spoiling everything by revealing the comic history of some of the characters. (For example, letting them know about Caitlyn being Killer Frost in the first episode wasn’t received well.) But it is so good. And, as a Firestorm fan, seeing Ronnie, Jason, and now Professor Stein live is fantastic. As for the DC animated stuff, I have stayed away from the more recent releases. For a while I think they had a series of big wins – Superman Apocalypse, Wonder Woman, All Star Superman, Justice League Doom, and Superman Unbound. “F is for Firestorm, second issue. I is for Indian, Black Bison too. R is for “Rage”, a title that’s neat. E is for Everyone that makes the book complete. S is for Stein, who is pretty smart. T is for the Troubles that play a big part. O is for the next Opponent: Killer Frost, hurray! R is for the Readers that want her to stay. I am not near my comics at the moment, so I cannot credit the brilliant letter writer right now… Shag? Rob annoyed me a little by saying Throne of Atlantis was aimed at kids because it was animated. It just reminds me of people saying comics are for kids. Granted there should be comics for kids and animated superhero movies for kids but that doesn’t mean they all should be. This does have a rating of PG-13 (and seemingly 15 over here in the UK) so surely that would have been an indicator that maybe it wouldn’t be entirely suitable for the younger people in the audience. Sorry for the mini rant it’s just I don’t like it when assumptions are made based on the method/medium used for telling the story. Also sorry if that wasn’t Rob’s intent. I guess I can just cheer myself up with the fact that Shag was right about the whole Spider-man/Marvel thing. Oh and also I can get back to enjoying the rest of the episode too. Rob is tough on the DC animated movies. I’ve liked a fair few of them, mostly the Justice League ones, as I tend to avoid the tiresome tireless stream of Batman/Superman stuff. “Doom” is among my favorites, and ended up being a perfect break point from following the features. I did brave “Flashpoint Paradox,” and found it a good adaptation of bad material that New 52’d the line, and haven’t had the slightest interest in anything since. I didn’t care for “Throne of Atlantis” in comics beyond the Reis art, and everything I’ve seen of the cartoon has been a turn-off. Easy pass. I’ve seen the various images from Firestorm on Flash here and I’m listening to a backlog of #FWPodcasts. I was glad that on whichever podcast Shag laid out the full story to date, I finally understood what’s going on with the Nuclear Man on this show. I’ve recorded all of this season’s Arrow episodes and some from the last in reruns for the Atom appearances, and maybe I’ll actually watch one someday.